Every writer has done this. You’re busy on a major project, a novel, or some similar commitment. You worked on it for months and are ready to be done with it, but it isn’t up to standards yet. Along comes a short story contest or other opportunity to get recognition, exposure, and maybe even some prize money. You don’t want to lose your concentration on your project but the enticements of the contest can’t be ignored. Above all, you need exposure any way you can get it, without jail time at least. So you go for it. There’s just one catch. The contest rules have a stipulation that will make your story unusable in any other venue. In short, it’s a One Off story. You must become a finalist in the contest, or the time spent will have been wasted. Still you do it, three weeks of long hours, and you think you have a pretty good product. With high expectations you await the contest announcement, and then…90% of our stories don’t make the grade. You’ve put too much in this story to throw it away, but by design it is obsolete. Or is it? The first one was an entry to “First Line.” First Line requires that you start your story with a specific initial sentence. The sentence I was stuck with was: On a perfect spring morning with flat seas and clear blue skies, Captain Eli P. Cooke made a terrible mistake. By luck and the desire to show creativity, a foolish concept to begin with—one should never expect reviewers to recognize ingenuity, I had my key character read the first line from a children’s book. She then closes the book and the story proceeds to be about her and never speaks of Captain Cook again. I thought that quit clever. They did not. I found myself stuck with a One Off story and several weeks of life pissed down the drain. Then I realized that I could remove the first line, make a few other revisions, and repost the story in my own venue at Smashwords.com, my blog site, and other places. >Here is the story after minor revision. Cumulatively across all forums, it probably has given me more exposure than if it had been accepted by First Line. The second One Off is more problematic. 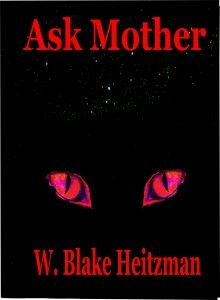 I submitted it to the Booktrack.com, Hugh Howey, contest. 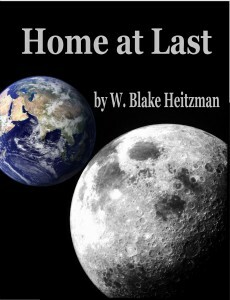 The one off stipulation was that the story had to be based on the environment, characters, or plot of the Hugh Howey novel, Half Way Home. I had three weeks to write the story and apply a soundtrack to it before I went on a long vacation in Africa. Believe me, writing did not pay for that trip. 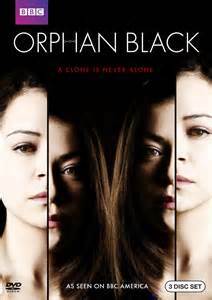 Orphan Black, a superior BBC America production. The trite theme of corporate intrigue takes a backseat to the character development. I thought the competition would be strong, so I decide to be inventive. I turn the Hugh Howey story on its head. I make the good guys into idiots and the bad guy, an AI called Colony, into a semi-good gal, at least good looking in holographic space. [Note: I don’t like corporate conspiracy stories, except for Orphan Black]. 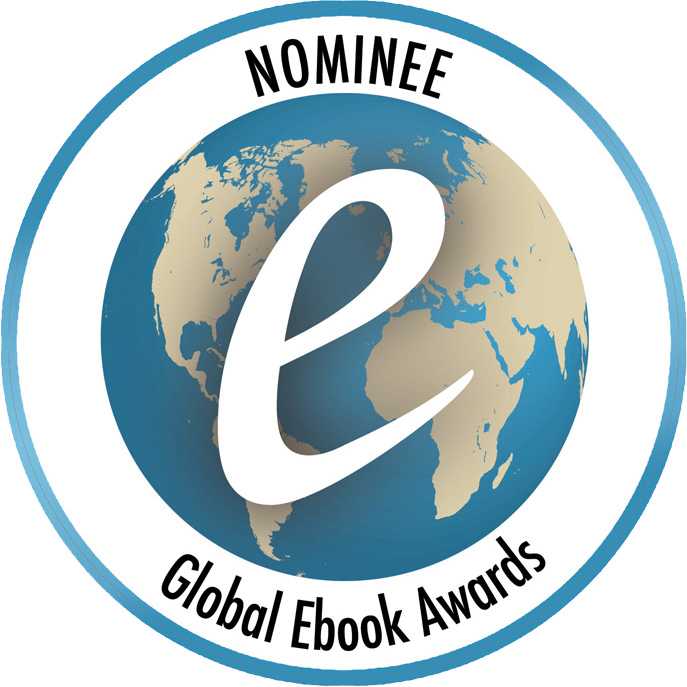 My story, Ask Mother, did not stir up sufficient following to be a contest finalist. Again I am stuck with a One Off, and this time throwing away one sentence will not salvage the story. I think this story can only be saved by adding several chapters up front, and of course, obliterating name consistency with the Half Way Home characters. I probably won’t work on this for months, if ever. With two novels and a novelette on the production line, I may decide to not put another foot into this tar baby. 1. Think through the upside and the downside before working on a One Off. 2. Design your One Off with an escape hatch that will allow you to salvage something from the hours you put into it. 3. Sometimes a One Off is just that, you need to stop putting appendages into the tar baby, and move on. This entry was posted in Uncategorized and tagged Fantasy Fiction, World Travel, Writer Promotions by Blake Heitzman. Bookmark the permalink. Good advice, Blake. I’ve done the same thing many times but I keep the stories in a “bank” to use in the future. The time writing those stories is never wasted. It hones your craft.